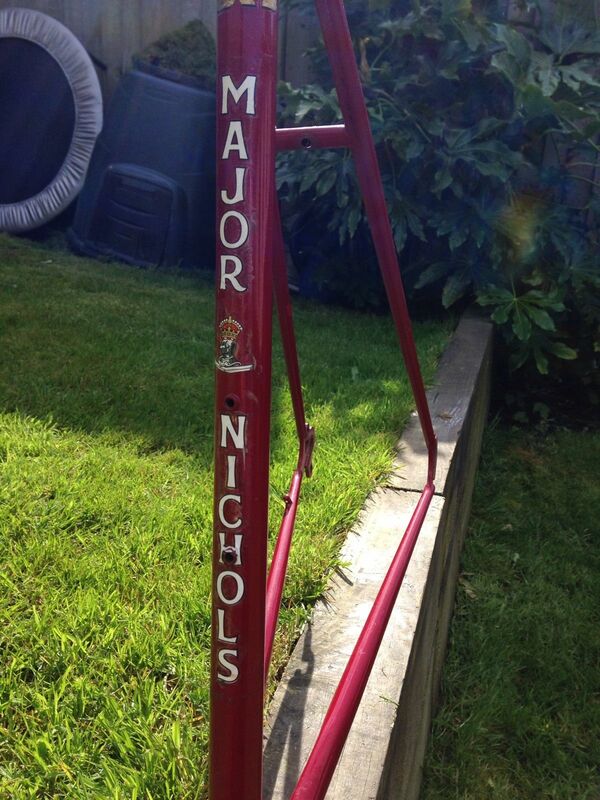 This frame breaks new ground in what we know and follows few if any rules of our experience of Major Nichols frames and I have had cogitate somewhat to write this in the hope that the new owner contacts me. The photos are not the best and an offside view might help. The construction of the 531DB badged frame is a hybrid system: A standard brazed bottom bracket with fillet brazed head and Allen key seatpost lug with previously unrecorded seatstay tops. The brazing looks to be good quality and comparable with the fillet brazed MN frames I have seen. The seatstay and chainstay bridges are straight and the former is not reinforced. The chain stays have been punched on the inside faces. That is very unusual on Major’s frames and this example seems different to the Dyke example but the photo isn’t clear enough for comparison to be sure. There are minimal braze-ons, a rear derailleur guide and stop, a pair of bottle cage bosses, not his normal ones, one broken perhaps and mudguard eyes. The dropouts I cannot identify but they don’t look top of the range. The nice forks are built on a Vagner DP fork crown which seems to have the lozenge fraise’ top and the steerer, I have been told that it is stamped 71136 to match the frame. It is a typical MN colour, Ruby Red flam. 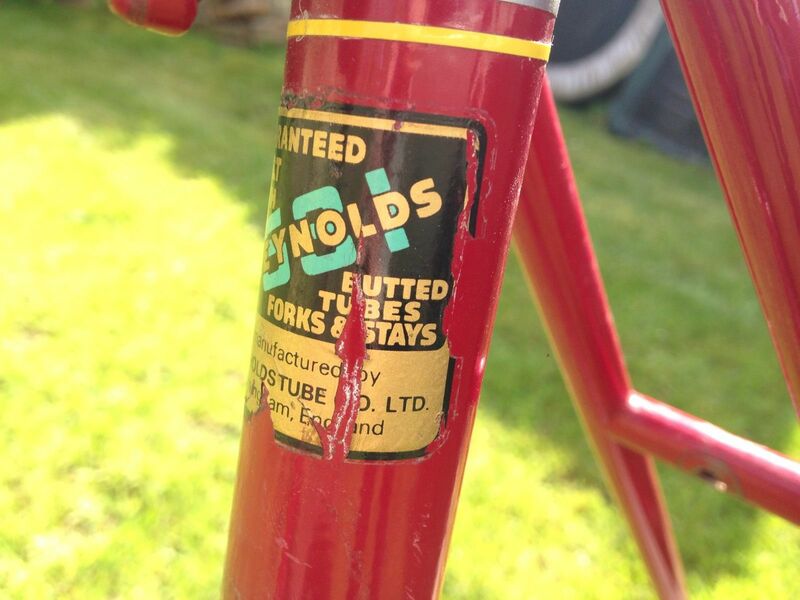 All we can say is that it’s probably been through Major’s paint shop circa 1990 and yet the Reynolds decal indicates a 1970s build. 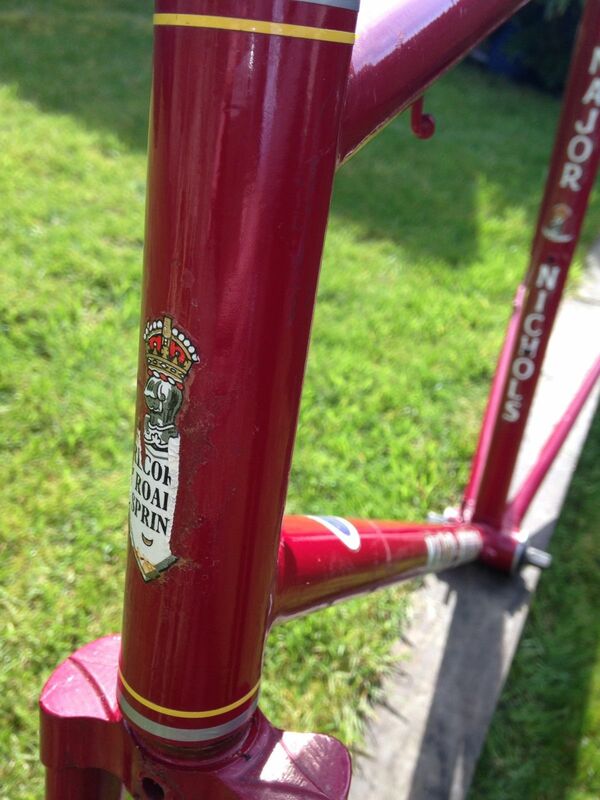 The head tube carries a RRS transfer and the down tube and seat tube has the white black edge Gothic script transfers and typical 1990 knights head alone. Perhaps Major had some period 531 transfers to add as a period detail on refinishing. Not his best day in the paintshop perhaps. It is not the usual 1970’s RRS but possibly a build for a friend, perhaps to try something new. It was fitted with a Campagnolo headset. That rather confirms quality of the frame and its use. The badge on the seat tube top may also provide a clue. I think from the original listing there may be a post code stamp or other data on the BB. 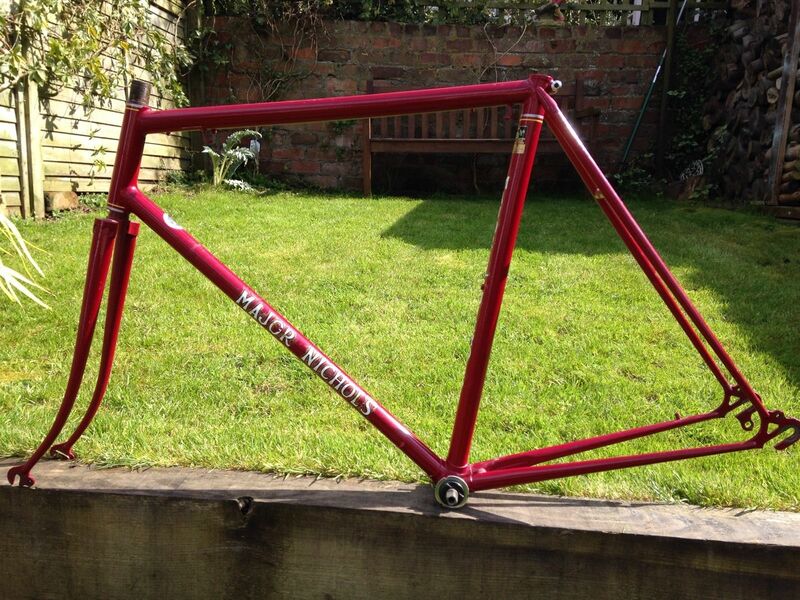 An interesting and handsome frame for the road with a short top tube and what appears to have parallel geometry. A postcode might just find us some more information on ownership. 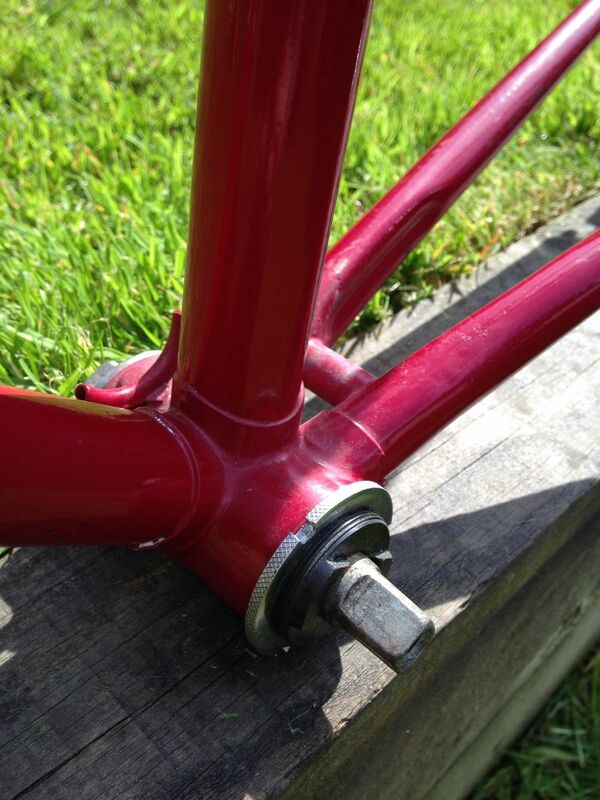 This frame forces me into more research and I will now probably have to do an article on his fillet brazed frames I guess to gather them together.